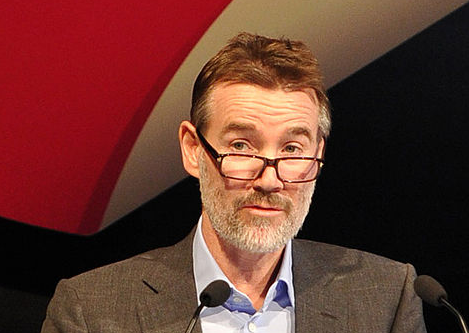 ITV CEO Adam Crozier has dismissed suggestions the UK broadcaster is a takeover target and instead described the business as a “consolidator”. Rumours John Malone’s Liberty Global will attempt a takeover of ITV have abounded in recent years after the cable giant began building a stake in the British commercial network. However, Crozier, who has overseen the acquisition of UTV, Talpa Media, TwoFour Group and Leftfield Entertainment among others since becoming ITV CEO in 2010, told investors on an earnings call he did not “think of [ITV] as a takeover target”. In July last year, Liberty ruled out launching a takeover bid of ITV, but speculation remained as at the same time the company increased its shareholding to 9.9%. Crozier’s comments came as ITV posted full-year revenues (including internal supply costs) to December 31, 2015, of £2.97 billion (US$4.14 billion), compared with £2.59 billion in 2014, which is a 15% uptick. Production and sales wing ITV Studios posted revenues of £1.24 billion, up 33% from 2014’s £933 million. Within this, the UK arm grew revenues 19% to £547 million, and the newly-consolidated ITV America arm grew revenues 36%, to come in at £320 million. Rest of the world revenues posted 124% growth of £213 million, with organic revenue revenues up 4%. Sales arm ITV Studios Global Entertainment scored revenues of £157 million, up 9% year-on-year, driven by sales of shows such as Poldark, Schitt’s Creek, Aquarius and Thunderbirds Are Go!. ITVS’s EBITA was £206 million, up 27%, while the broadcast arm posted £659 million, which represents 16% year-on-year growth. ITV’s broadcast and online division posted revenue growth of 6%, coming in at £2.15 billion. ITV said that while the broadcast increases represented “good growth”, it was becoming “increasingly difficult to measure the pure spot advertising market as all broadcasters use different definitions, which may include additional sources of revenue such as sponsorship and VOD in their estimates of television advertising”. ITV revealed the total cost of acquiring Talpa, the 75% of Mammoth Screen it didn’t own and TwoFour holding company Boom Supervisory, established new label Cats on the Roof Media, and buying the rest of US-based Leftfield came in £406 million. “ITV Studios continues to perform strongly both organically and from our recent acquisitions, particularly Talpa. Through our ongoing investment ITV Studios has become a global production business with total revenue up 33% to £1.2 billion and with 53% of revenues now coming from outside the UK,” said Crozier in a statement. “ITVS has already secured a higher proportion of 2016 revenue at this point in the year than in previous years and our good drama slate gives us confidence into 2017,” he added.